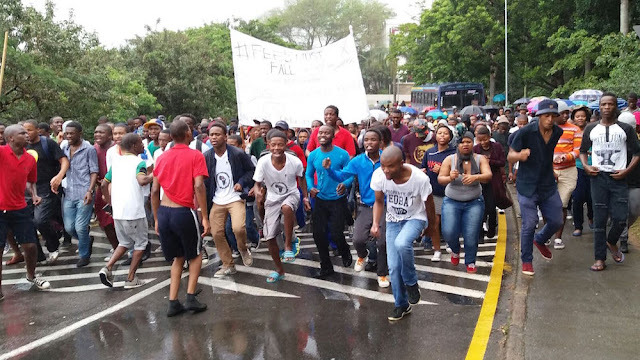 It was around in September 2015 when news articles about violent student protests first emerged from the University Of KwaZulu Natal Westville campus. 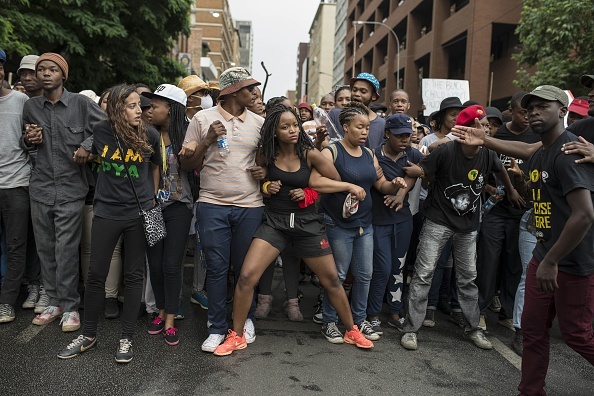 The protests about university fee increases, student debts, soon spread nationwide spearheaded by a famous twitter hashtag #feesmustfall. We are now in 2016 and it seems the fees have indeed fallen thus far with the announcement that more funding would be allocated by government to assist financially needy students. 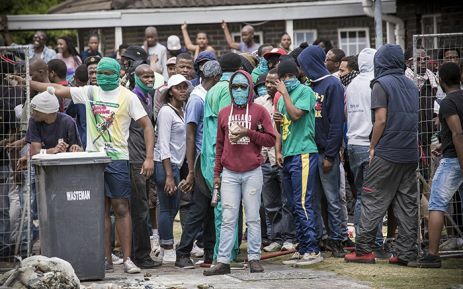 Who would forget the University Of Cape Town students who were assaulted by police with stunt grenade, shields, teargas whilst they had their hands in the air as a sign of a non violent protest? 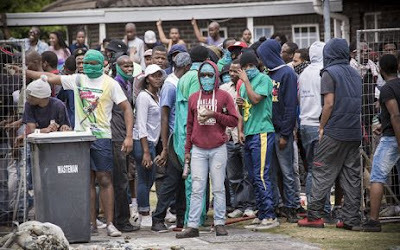 We would also not forget the violent and destructive students protests in areas that do not normally receive much media coverage such as University Of Fort Hare at the Eastern Cape. Police brutality to students at the University Of Free State. Perhaps the most breathtaking radical and militant protests took place at the University of KwaZulu Natal Westville Campus, University Of Western Cape or the Union Building in Pretoria when the president was set to meet and engage with student leaders regarding high university fees. 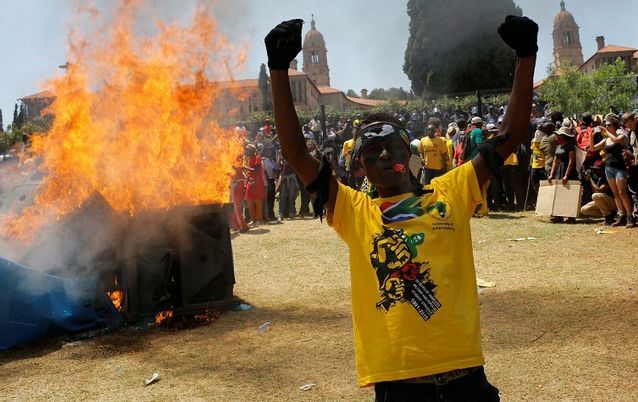 What happened thereafter is a violent confrontation between militant students and the police when the students became frustrated as they were awaiting the president to address them outside the Union Buildings. 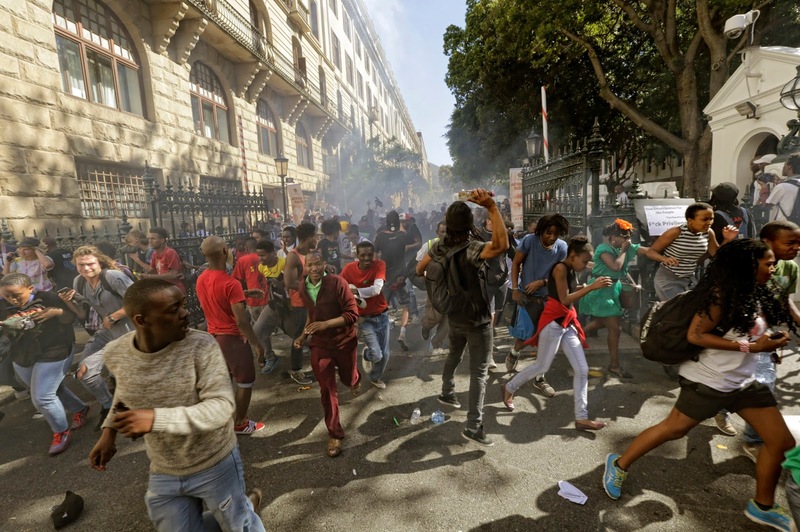 It is rumoured that scores of students were injured and received emergency medical attention after they were shot at by the police with rubber bullets, teargas and stun grenades. At least two police vehicles were reportedly set on fire and overturned. 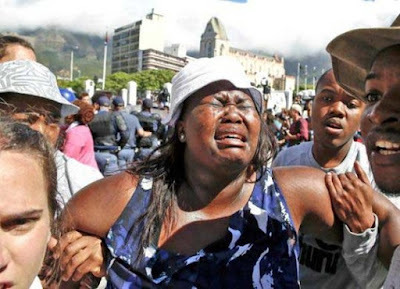 Some of the most violent acts of police brutality against students are said to have taken place at the University Of Western Cape even though the media covered very little in that area. 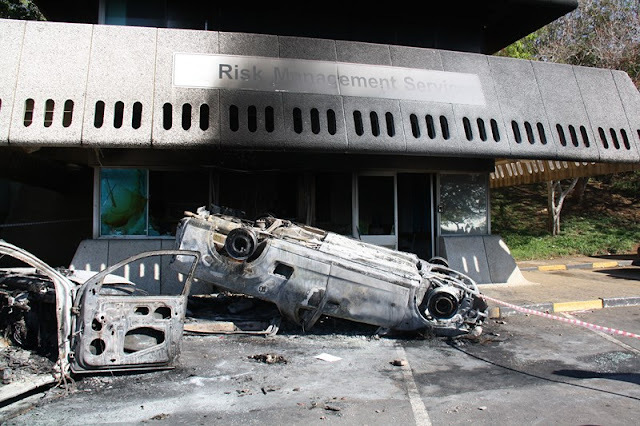 Updates and pictures by students regularly appeared on twitter to give accounts of what was taking place. 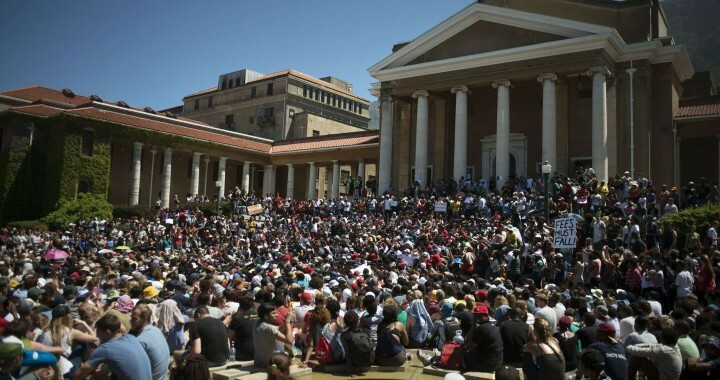 Tswane University Of Technology proved to be the most radical, militant student movement as they were not prepared to simply stand and watch proceedings unfold at the Union Buildings as some believed TUT was at the forefront of the chaos,vandalism,arson that took place the Union Buildings on that day. 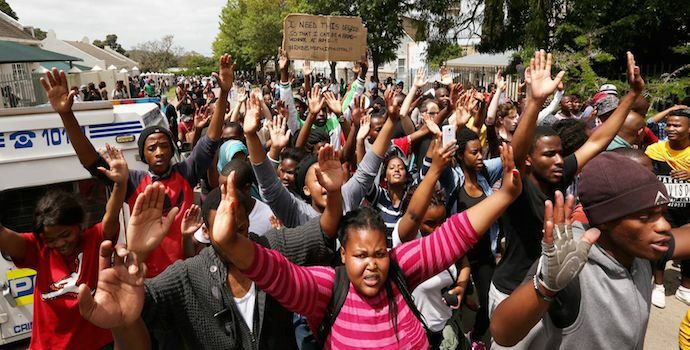 One journalist posted on twitter that a Tswane University of Technology threatened her when she tried to take photos of them and said :"You not allowed to take pictures of us you shits! 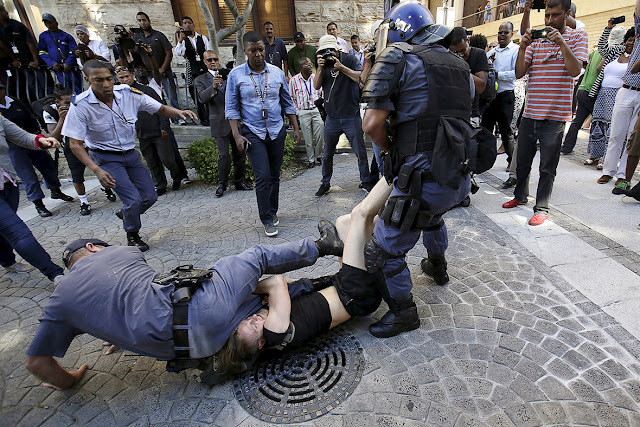 We will kick you".